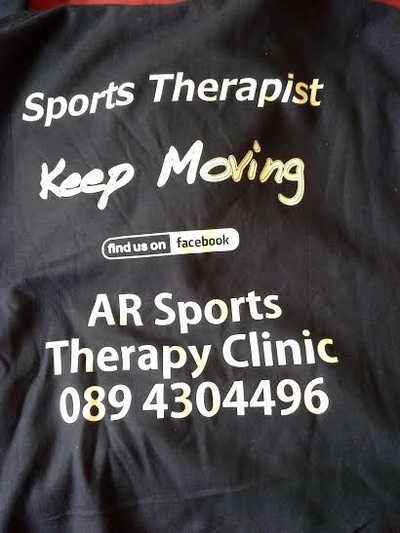 I am an Official Volunteer Sports Therapist with Special Olympics Ireland. I was also the Sports Therapist for a Charity Cycle Race in aid of the Help Emma Beat it fund. 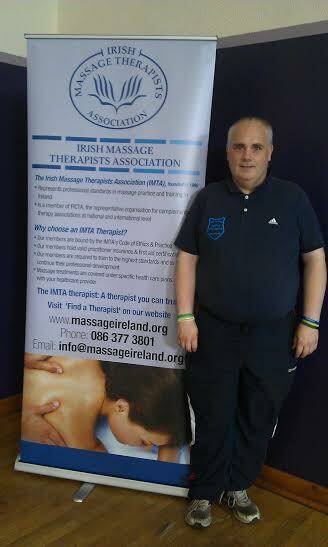 My name is Aidan Raftery, I am a member of the Irish Massage Therapists Association. I now welcome Aviva Health and Glo Health members. 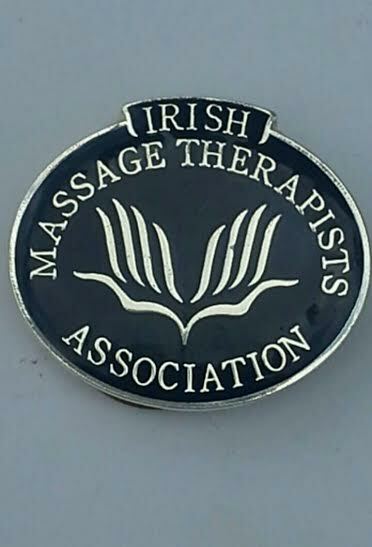 Due to the fact that I am a Member of the Irish Massage Therapists Association the way the schem works is If you are a member of Aviva Health and/or Glo Health then when you come for a treatment or massage let me know that your a member or those schemes and I will put that on the file and you pay me and I issue you with a reciept on headed paper with my Irish massage Therapists Association Membership No and you send the receipt to Aviva or Glo Health and they will refund your money. I am fully CRB checked and have been doing Sports Therapy and Massage Therapy for 4 years. I started with Frampton Cotterell RFC in Bristol, England. Then with Roscommon Gaels Club Under 8's, 10's and 15's and Minor Hurlers, Manor United FC and also Bohemians FC. I am also a volunteer with the Civil Defence, the Quad Foroige Youth Organisation in Roscommon and the Roscommon Cancer Support Centre as a Massage Therapist. 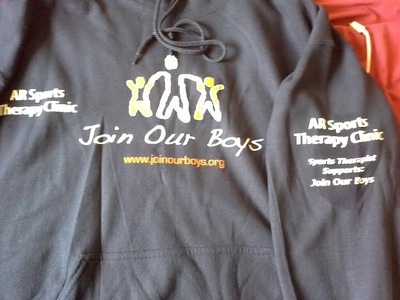 On fund raising days I work as the Sports Therapist for the events. I enjoy taking part in charitable events. I also offer my skills to clubs on training and match days and also during competitions. I can offer advise session on how to avoid injuries for groups and individuals. I am an associate member of STA (Swimming Teachers Association) and enjoy helping the youngsters and adults with any injuries they may have. I attend regular courses and lectures on a regular basis in the Sports Surgery Clinic. I attended an ACL Injury prevention, treatment and Rehabilitation lecture in the clinic. News of any lectures or courses that I will be doing or have done will be on the LATEST NEWS page on this website. One of my clients is a World Irish Dancing Champion. 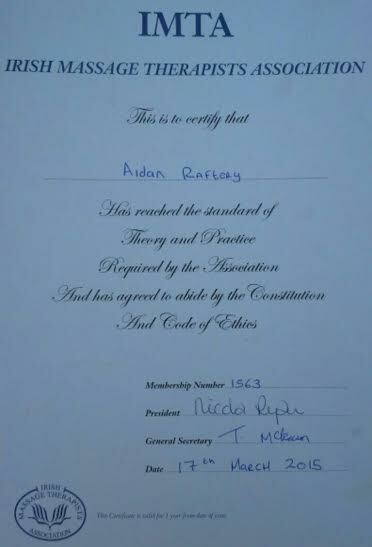 I am also now a volunteer Sports Therapist with the Special Olympics Ireland. 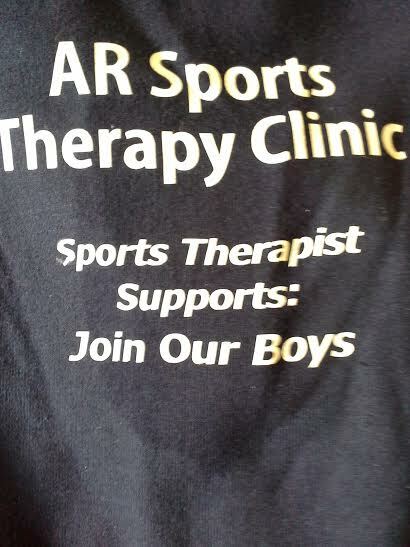 I help support the Swimmers on a local level every Tuesday and I will be Sports Therapist at regional and all ireland events. My Unique selling point is that I have played gealic football and hurling for a number of years from U16 level up to and including Senior level in both sports. I have had Sprained ankles, Groin Strain Injuries, Pulled pulled ligaments to name a few so from that point of view when a client comes to me I have a great understanding of how the athlete feels when he or she comes to me for treatment. There are many things an athlete goes through when he or she gets injured. The pain the injury causes, the frustration that goes with being injured, the worry about being out and getting back to playing again. The questions you ask like how long will I be out for, knowing you cant train or play and the frustration that that brings that sense of needing reassurance of knowing what injury I have. What do i need to do to get back playing again? Is it possible that I will be able to get back playing again? The thing that sets me apart from my competitors is the fact that I have played sport. I played Gealic Football and hurling for a number of years. I have had injuries like Sprained ankle, pulled ligaments, Groin Strain, to name a few injuries so when an athlete comes to me with an injury I know and understand how it feels to have an injury. Feeling depressed, not being able to train, not being able to play in matches. Is it possible to get back playing again? will i get my place back in the team, feeling excluded from the team and big days. With this in mind I feel I can help the athlete to get back to playing again. This is done by helping the athlete to set a series of goals and targets that are easy to achieve and as the athlete achieves each goal adjust the rehabilitation accordingly. And because of my experience of having injuries the Athlete can be assured that I will give my commitment to getting the athlete back to full fitness where the athlete will be in a position to compete again. I endeavour that throughout the athletes recovery that I will keep the athlete motivated so that the athlete will progress in his or her rehabilitation and I will be there for the athlete throughout his or her rehabilitation and they know they can contact me anytime if they have any question. On my website I have a Useful Links page where any company or person who has a company and wants to advertise can put an advertisement on my Useful Links page can do so. All you have to do is email me the company details and I will put it on the page. It is free of charge. all that i ask in return is that you recommend me to people. For all companies and organisations and charities and sports clubs if you have an event coming up and you want to make people aware of it send the date and details of the event and I will put it on the events calendar. again it is free of charge and all you have to do is recommend my services to people. I would like to thank you for taking time out to look at my website.
. 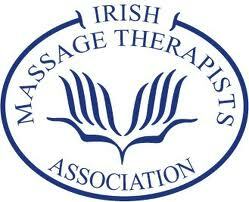 Emergency appts €50 available by telephone, 2hrs notice reqd. I am available to attend sporting events such as Football, Hurling and or Rugby matches to support and treat team members with any injury needs. So if you are aware of any that would benefit from my services please enter them on my Events Page or contact me via my contact details.